We had only a few hours to kill before dinner and so my brothers and I opted to go on a sandwich crawl. 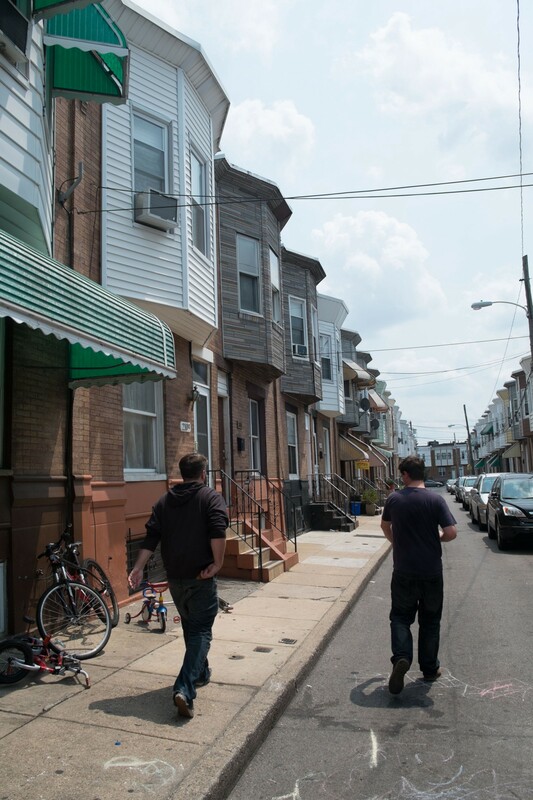 I’d heard amazing things about John’s Roast Pork and so we took an Uber through miles of narrow streets and low-slung row houses to a shack by the railroad tracks. 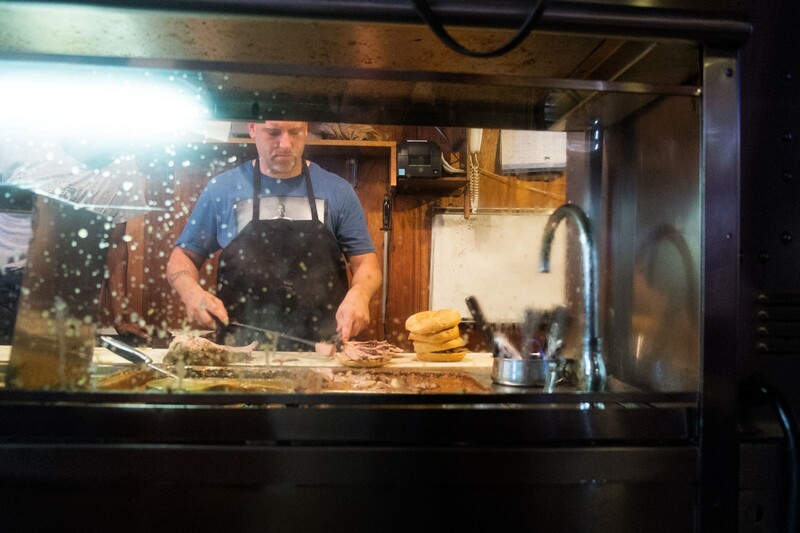 The doors were covered in cartoon pigs and the staff had everything you want in a good New England sandwich line–ornery, quick and profane. 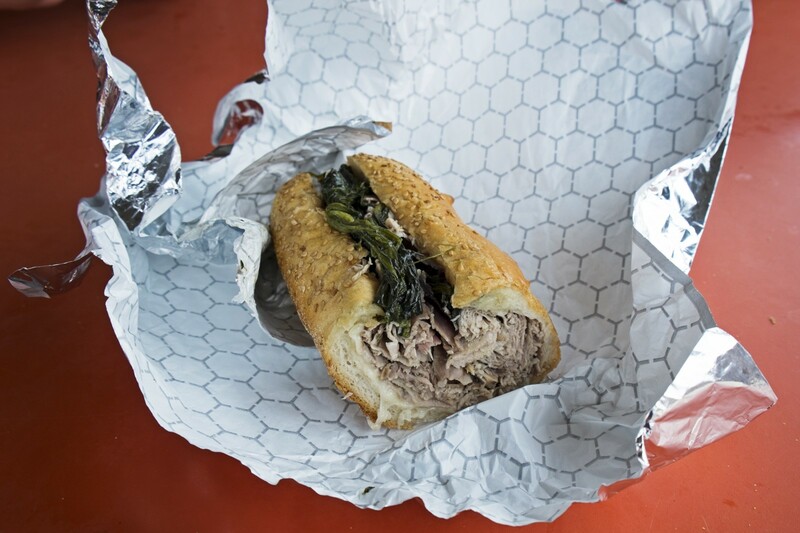 Unfortunately, the sandwich proved to be a wad of wet, flavorless meat packed into a roll with steamed spinach. My poor pal Jay rolled up in his tiny Honda hatchback before I could finish eating. He’d ducked out of the office to drive us to Pat’s and his poor Honda nearly buckled as roughly a ton of Godfrey piled in. I protested the addition of a third sandwich, but was finally overruled. Nick’s Old Original Roast Beef had no windows. A sign on the metal door instructed its customers not to wear hoodies. Inside, men who looked to know great secrets about sandwiches sucked on Yuenglings at the bar. At the center of the building stood an ancient, grease-spattered window that overlooked three divine sides of meat swimming in gravy. 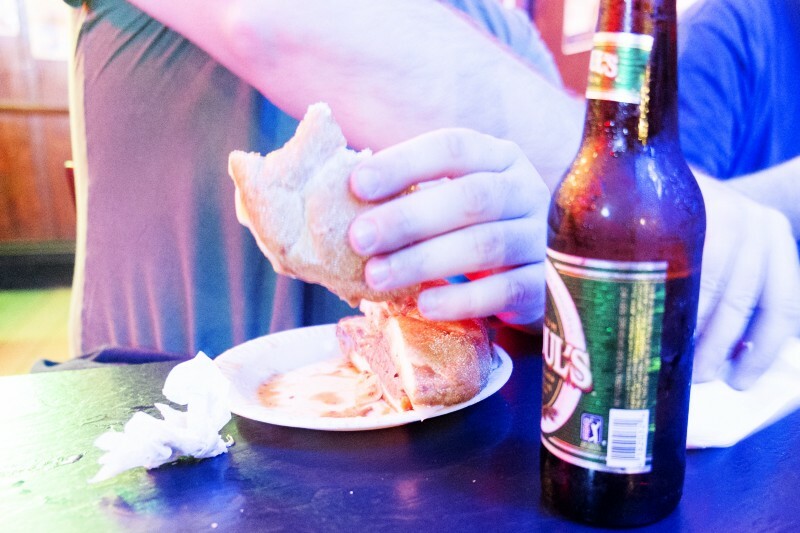 Nick’s namesake sandwich consisted of soft sharp provolone and unreal beef on a Kaiser roll. My first bite triggered a Proustian flashback to my dead Grandmother’s meatloaf. Beer and a spoonful of horseradish sent the whole thing into overdrive. 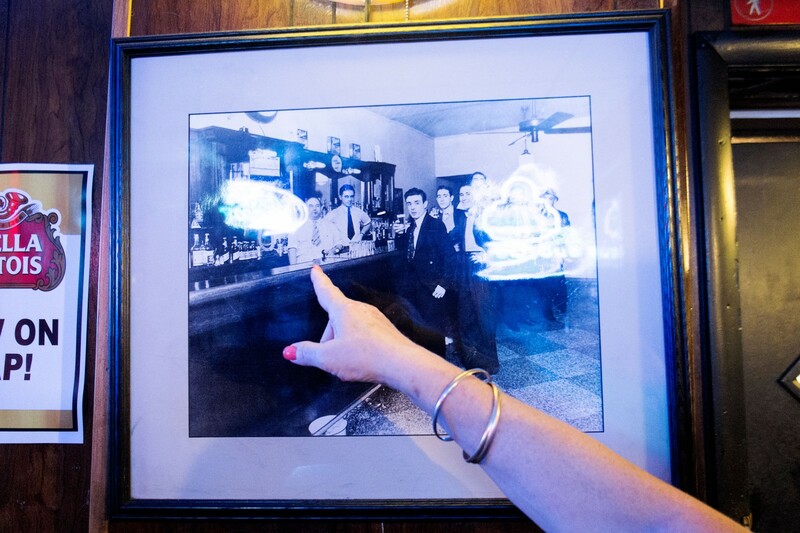 On our way out, the brassy proprietress directed our attention to the black and white photograph of her grandfather behind the bar on opening day (1938). She seemed pleased to know that she had customers from as far afield as Los Angeles. But Vietnam broke her radar. 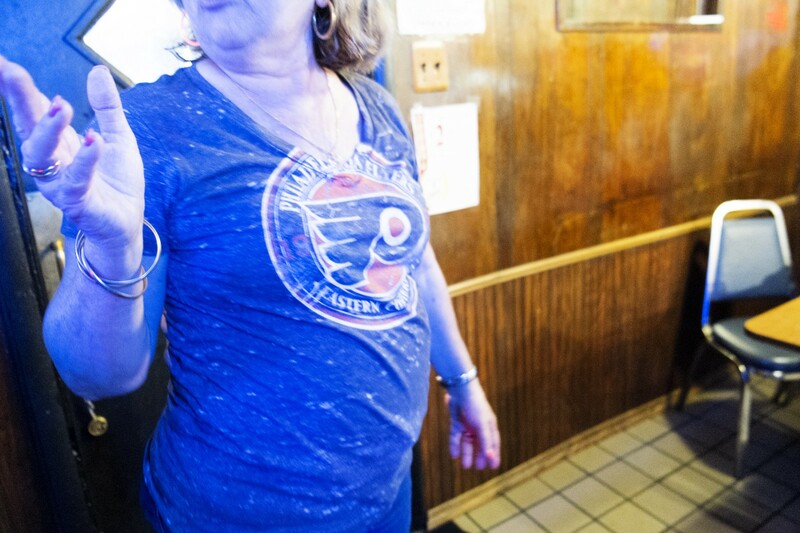 “We’re world famous,” she said with a wave of her hand, as if to explain the motivation for my escape from a Rambo-esque prison camp. 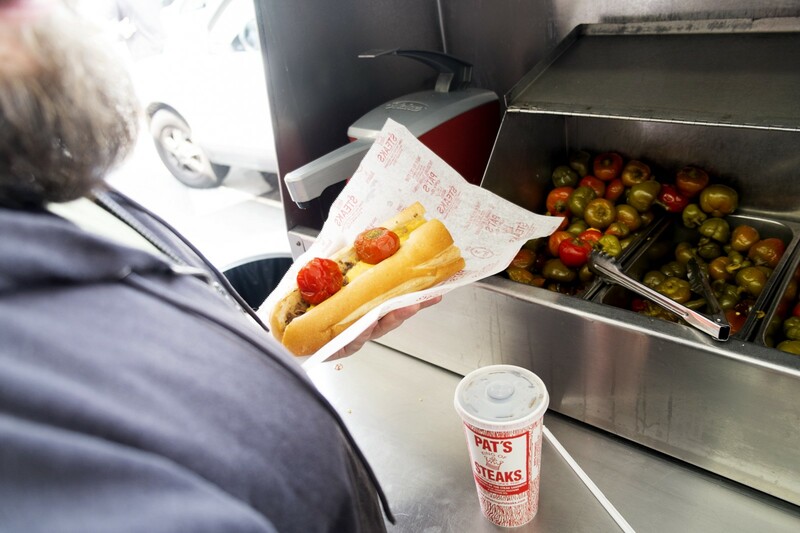 Our final cheesesteak at Pat’s (wiz, wit) just felt gross. We tried to walk off the feeling of near death only to learn that no amount of exercise can ameliorate the impact of three grinders on the human body — particularly when they’ve all been consumed in under an hour. No one needed pickled peppers on their third sandwich. Also, no one needed a third sandwich. Jay abandoned us at a bar in the Italian market and went back to his office. We thought oysters might help our condition, but we couldn’t muster the will to order them. Later, while we sweated in our beds and prayed for relief, our hotel caught fire. And so we went to dinner.